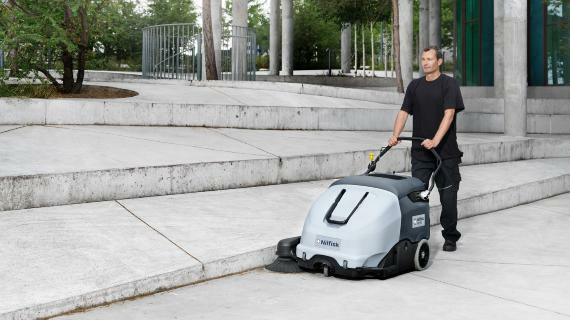 Nilfisk sweepers​ can be used for every kind of hard floor like concrete, epoxy-coated floors, tiles and asphalt both for indoor and outdoor applications. ​The lighter the material to pick up is, the lighter the brush should be. 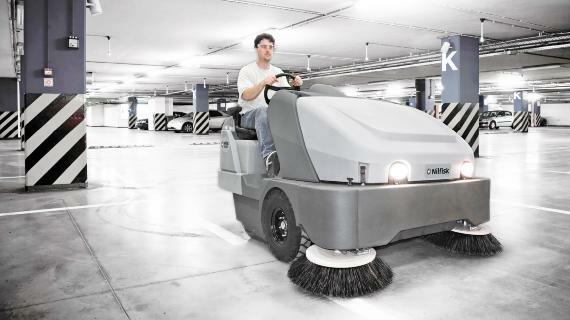 The smoother the floor is, the easier it is for the sweeper to work. This means that it is possible to use a lighter brush in order to prevent damages to delicate surfaces.